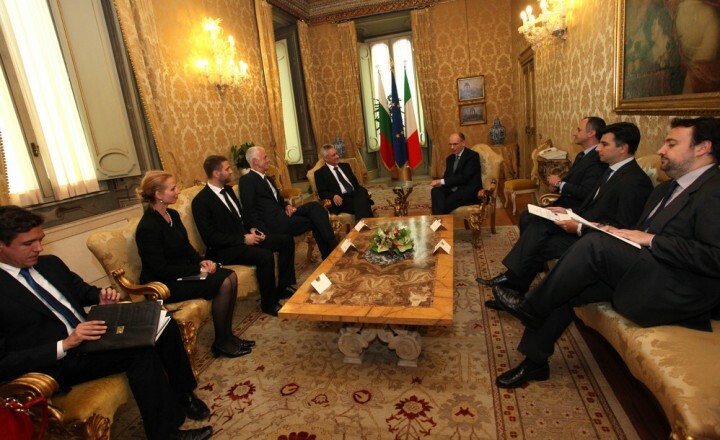 Talks in Rome between Bulgarian Prime Minister Marin Raykov and his Italian counterpart Enrico Letta focused entirely on economic matters, a government media statement on May 24 said. “In times of crisis throughout the European economic area, this theme is an essential matter for discussion,” Raykov said after the meeting. The two prime ministers also discussed issues of energy policy, notably Nabucco West, as well as the policy of diversification of routes and sources. “We touched on the theme of the acceleration of the project Corridor Number 8 from Bourgas to Italy, which is probably one of the most important projects after the Strouma motorway,” Raykov said. “Italy is the third country in trade with Bulgaria and we discussed stepping this up,” he said. Schengen also was discussed during the meeting, according to the statement. Raykov was in Italy at the head of a Bulgarian delegation celebrating May 24, the Day of Bulgarian Education and Culture and Slavonic Literature. 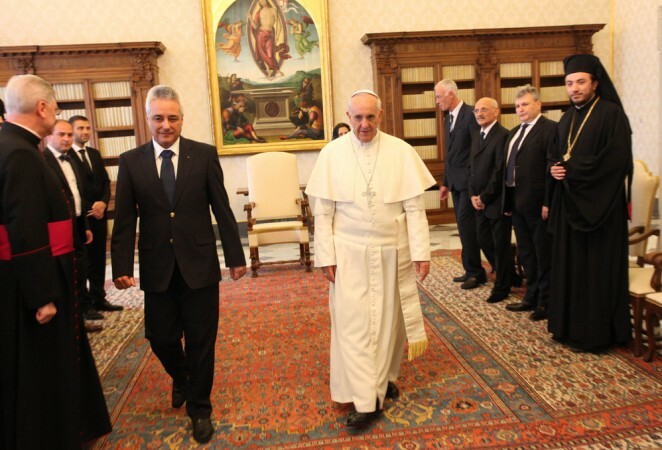 The delegation was received in audience by Pope Francis. Raykov expressed gratitude to Pope Francis that the San Vincenzo and Anastasio church in Rome is available to Bulgarian Orthodox Christians as a place of worship. 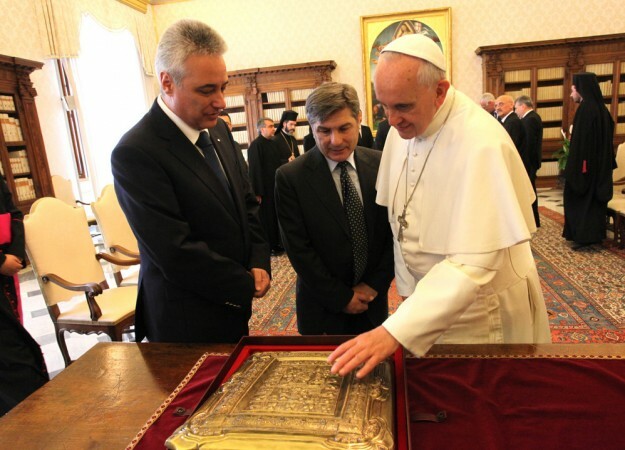 “This is a noble ecumenical gesture,” the Prime Minister said. During the meeting, the issue was discussed of the Ambassador that the Bulgarian state will send to the Vatican. “This is a matter that Bulgaria is about to decide,” Raykov said. They also discussed the challenges facing Christian minorities in non-Christian countries such as Syria and Iraq, the statement said.